While photography is often quite expensive, there is one thing you can do that will cost you little but will greatly enhance your photographic tool set. Macro photography involves capturing images that are near life-size or greater than life-size. There are all sorts of macro lenses and associated equipment for great macro work but it can get complicated and expensive very fast. So I always tell people to invest in a set of extension tubes. But contrary to my normal philosophy of sticking with the brand of the camera body that you shoot, I go way off track to suggest that you get the least expensive set you can find. Just make sure it has all the contacts that pass the lens information back to the camera. A decent set can be had for about $80 and it will make a world of difference in your capabilities. Set of three inexpensive extension tubes. Click for larger image. To give you a quick primer on camera optics with respect to close focusing, you can follow along with a little test of your own. Pick up a small lens, just something that is easy to handle. Mount it on your camera body and note the closest that you can focus. It could be two feet for example. Now, remove that lens but hold it in place, just in front of the mount, and look through the view finder to see how closely you can focus. But rather than move the focus ring, move the camera-lens unit closer to the subject until it comes into focus. It should be noticeably closer. Note that as you move the lens away from the camera body, you have to move closer to your subject in order to get sharp focus. This is the principle behind the extension tubes. All they do is mount the lens farther from the focal plane of the camera. This is what’s going on inside your lens but it has a range based on its size, price, and design. Macro lenses are optimized to be able to move the internal components farther at the expense of weight, size, and price. Their optics are also optimized for close focusing. In use, leave your focus ring along and instead, focus by using the zoom ring (unless it’s q prime lens of course) and by moving closer to and farther away from the subject. It takes a little practice to get the hang of it but by playing with the two, you can select a magnification that you want and achieve good focus. The extension tubes offered by your camera body manufacturer will not work any better but will cost three or four times more. The knock offs, as long as they pass the electronic signals between the lens and the body, will work just fine. Don’t make the mistake of thinking that macro is just for small subjects. I always carry a short extension tube with me, even when shooting with big lenses. Often times I’m set up with my big 500mm lens (which has a minimum focusing distance of just over 12 feet. Fine for the vast majority of what I shoot with that lens. But if a humming bird were to come within ten feet of me for example, I’d never be able to get the shot. With the extension tube, I can quickly reduce my minimum focusing distance and get the shot. 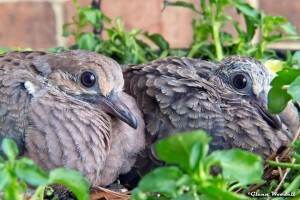 Full frame shot of baby doves taken with a 300mm lens and a short extension tube. Click for large image. 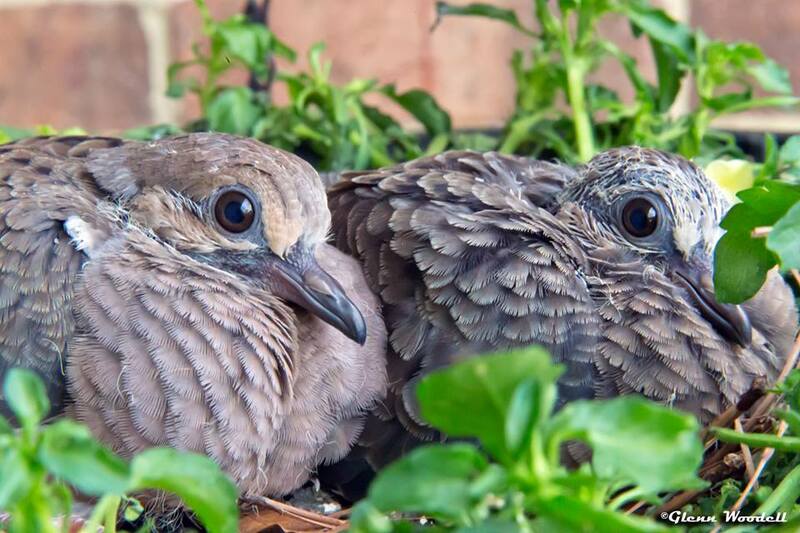 In this example, I wanted a close up of some baby doves but I couldn’t get very close without disturbing them. A long lens allowed me to shoot from farther away but because of the minimum focusing distance of the lens and where I wanted to shoot from, I could not achieve proper focus. A extension tube solved the problem. So, why don’t we just keep the extension tubes mounted all the time? The caveat is that they really shift the focusing range, not extend it. So although you can focus closer with one mounted, you lose on the other end. Your ability to focus far away disappears. This is akin to putting on reading glasses and then trying to walk around while wearing them. 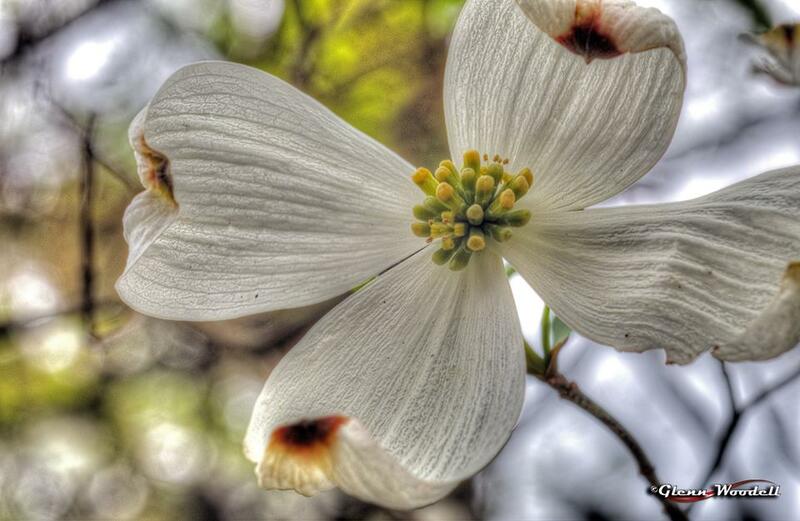 Full frame image of dogwood bloom taken with 70-200mm lens and extension tube. Click for larger image. Get yourself an inexpensive set of these little gems and open up a new chapter in your shooting.